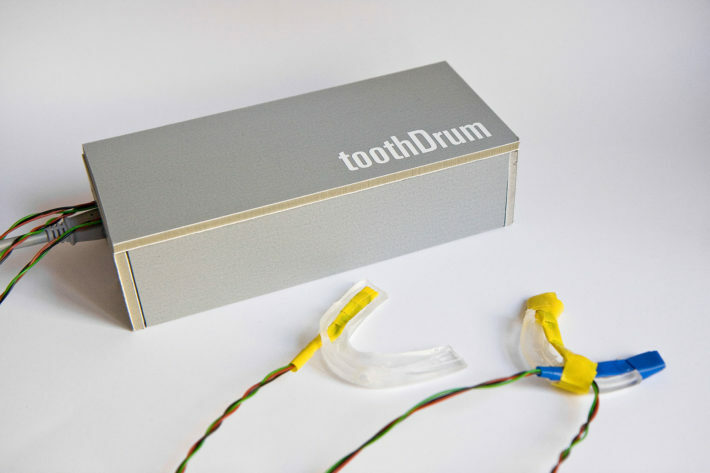 The concept of toothDrum is based on a personal habit of mine, imitating percussion sounds of catchy tunes with my teeth. 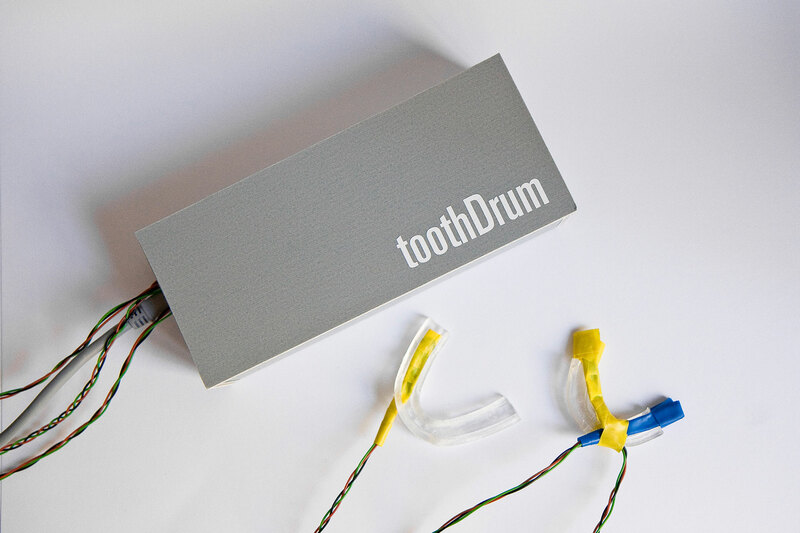 We created an experimental musical instrument by adding pressure sensors to two gumshieds. By gritting her teeth the musician is able to evoke MIDI sounds that vary in their loudness depending on how hard the teeth hit the sensor. toothDrum is the result of a one week workshop at the Institute of Industrial Design in Magdeburg. The prototype uses an Arduino microcontroller, which communicates with Processing. While Sindy Kültz was responsible for the electronics, I did the programming.